Christie Brinkley, 62, has twinning moment with 18-year-old daughter | HELLO! Christie Brinkley wowed fans when she shared a picture of herself on Instagram on Tuesday. The 62-year-old looked incredible in denim dungarees and red trainers. The star was posing with her lookalike daughter Sailor, who was matching her mother in short denim dungarees. Christie had been helping Sailor move in to her new college accommodation in New York, and she captioned the snap: "Brinkley Moving Company! We get the job done! #offtocollege #latergram." The ladies were posing up, hands on hips as they pouted for the camera. Sailor, meanwhile, looks to be settling in to college life in New York. 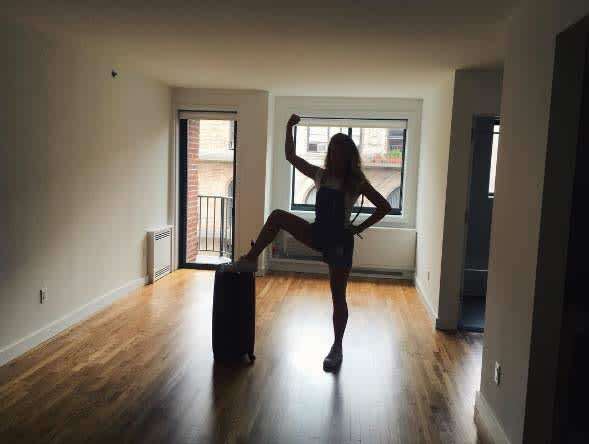 She posted a snap of herself posing in her apartment, writing: "Watch out new York city you've got a new full-time resident." Christie recently split with her partner John Mellencamp. After a tabloid reported that political and lifestyle differences caused the split, Christie took to Instagram to set the record straight. "While much has been written over the years about me that I simply allow to roll off my back... I do stand up for my friends when things seem unfair and this is the case here," she posted. "Distance and work were all that stood in the way of our relationship."